Rural Health West complies with the Privacy Act 1988 and the Privacy Amendment (Enhancing Privacy Protection) Act 2012 in the collection, storage and disposal of data. Rural Health West collects personal information through documents such as forms, resumes, submissions, interviews and business transactions, general submitted directly by the individual or relevant organisation. This information may include details such as name. age, date of birth, occupation, contact details, financial and other information which is necessary in order to conduct our business. Personal information will only be used for the purposes stated at the time of collection and will not be used for any purpose other than reasonably expected. 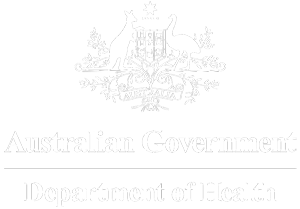 Update information on general practitioners, general practices and other health professionals/practices as part of annual workforce surveys. This de-identified data is provided to Rural Health Workforce Australia under our Australian Government funding agreement obligations. Rural Health West does not disclose personal or sensitive information on an individual basis. Aggregated, identified and de-identified data may be provided to relevant agencies for the purposes of facilitating relevant health and medical research planning or for assisting in or developing services and service delivery considered to be of the benefit of stakeholders. We do not disclose personal information for direct marketing purposes. Rural Health West does not disclose personal information to third parties overseas without the individual’s or organisation’s consent. You have a right to access your personal information. To do so, a written request should be addressed to Rural Health West’s Data Coordinator. Proof of identity will also be required to ensure that personal information is provided only to the correct individual or organisation. Should you wish to update your personal information you can do so by contacting Rural Health West and outlining the information to be updated. Rural Health West will take all reasonable effort to secure the protection of personal information. Our staff respects the confidentiality of personal information and the privacy of individuals and organisations and will only access information to perform work related business. Rural Health West will take all reasonable effort to ensure that personal information is maintained in a current, accurate and complete manner. Completing and submitting surveys, forms and applications denotes agreement to the collection, use and disclosure of personal information as described. If you have any queries about our privacy statement or complaints regarding how your personal information is being managed, please contact Rural Health West.